Georgia is one of 18 states that allows non-medical exemptions from vaccination requirements for going to school, according to the National Conference of State Legislatures. Currently, 47 states allow religious exemptions and since 2009, the number of ‘philosophical-belief’ vaccine exemptions provided to state departments has risen in 12 of the 18 states that currently allow this policy. Two doses of the vaccine — at 1 year to 15 months old and a second dose at 4 to 6 years — provides about 97 percent protection. The vaccine is not perfect, in some rare cases measles will still develop despite receiving both doses, albeit a milder form of the disease. Experts are not sure why. So far, Mayci has received the TDAP (tetanus, diptheria and pertussis) vaccine and a flu shot. 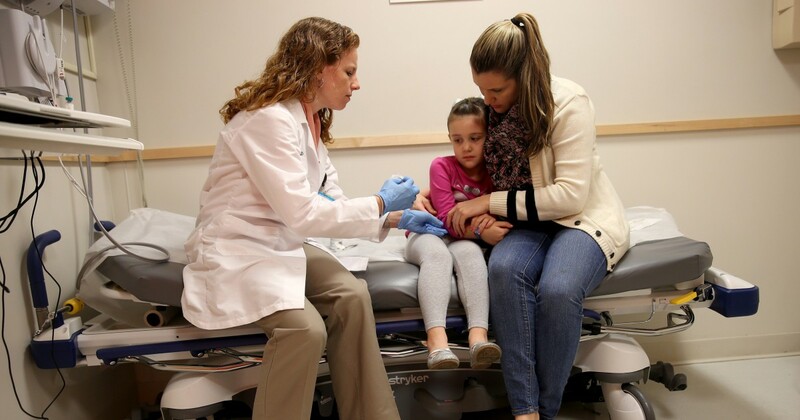 She plans to get the MMR vaccine, along with shots against HPV, Hepatitis A, Hepatitis B, and varicella (chickenpox) later this year.